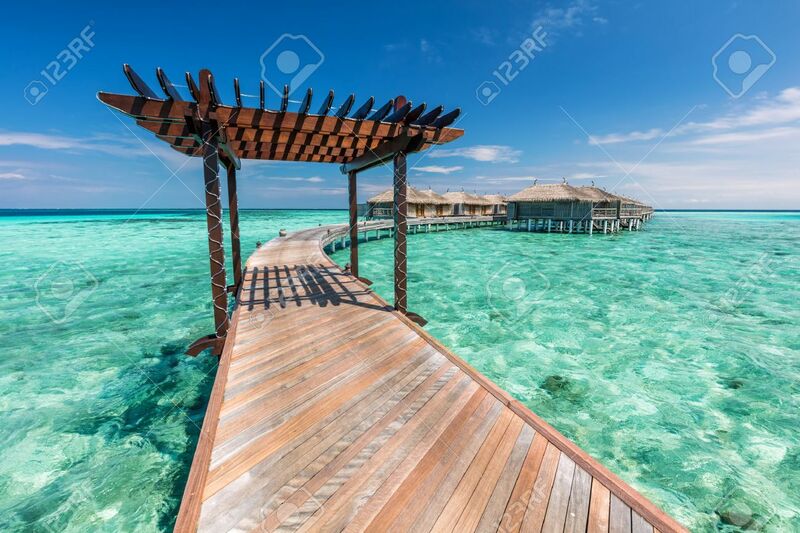 Wooden Jetty Towards Water Villas In Maldives. Resort On An Island.. Stock Photo, Picture And Royalty Free Image. Image 69069436.